With so many cities in Europe it can be hard to choose where to go on your next European City Break. We have a quick look at Copenhagen to see what makes it so great for a City Break in Europe, and I've compiled some fun facts... because who doesn't love fun facts?! Copenhagen is the capital of Denmark and is one of Europe’s oldest cities. The currency used in Copenhagen and in the rest of Denmark is the Danish Krone or DKK. Danish is the official language of Copenhagen. English and German also widely spoken. According to the World Happiness Report 2016, Copenhagen in Denmark is the happiest place in the world! 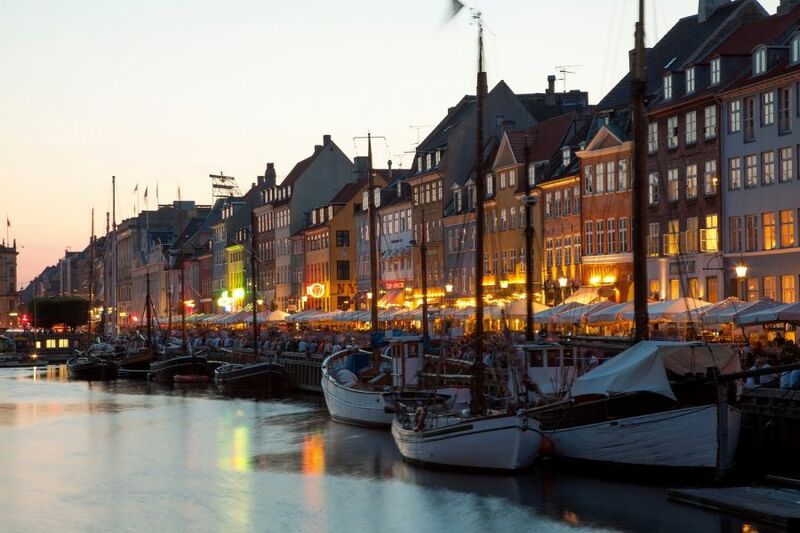 Copenhagen is incredibly clean, one of the cleanest cities in Europe. Around 55% of the population of Copenhagen cycle to and from work… they have elevated roads just for cyclists. Tivoli Gardens in Copenhagen offers the world’s second oldest amusement park. You can spend the day here, walking through the gardens, trying out the food stalls, watching shows and of course riding the roller coaster! Talking of the Tivoli Gardens, it is said to have provided inspiration for Walt Disney. Hans Christian Anderson lived and died in Copenhagen. The Little Mermaid Statue in Copenhagen in one of the city’s most famous landmarks. It was given to the Danish brewer Carl Jacobsen after he saw a ballet based on the tale by Hans Christian Anderson. Copenhagen’s main shopping street, Stroget, offers tax free shopping of high end brands! Copenhagen has a ‘FreeTown’, which is a self-governing town just outside the city centre called Christiania. The town is run by community law and there are no taxes. The Danish flag is the oldest flag in the world, apparently the flag has been in use since 1219. The Danish Royal Family is often seen around Copenhagen and its common place to see them make informal entrance into places.